BMC for UPSEB, HSEB, RSEB & other boards. These are the main products manufactured by the company. 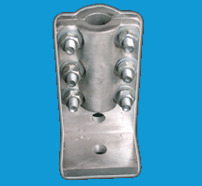 We have the Capability to manufacture any other products as per the Consumers Drawings & Samples. Power Engineers was established in the year of 1994, SSI Registered, ISO 9001:2008 Certified Company by Mr. Sanjeev Kumar Garg with the aim of supplying high quality products of Power & Distribution Transformer Metal Parts 11Kv to 66Kv. The main aim of the organization is to provide high quality products within a specified time frame provided by the customer. He has a hands on experience in power & Distribution Transformers Metal Parts, Silicazel Breather, Tape Changer Switch, Temperature Meter, Bimetallic Connector & All Other Accessories for 11 KV to 66 KV. Looking towards the market demand trends, Power Engg is providing satisfactory and consistent services to the consumers and associates. It has skilled team well-qualified professionals of the Trade to manage all the complexities at the product being manufactured. Because of our working efficiency with our improving quality skills we are leading day by day in our market, moving sales rate from lakhs towards crores.